Japan Imported Automatic Movement, Self Wind. The Frequency of the Balance Wheel is 21600 per Hour, Power Reserve as Long as 48 Hours. 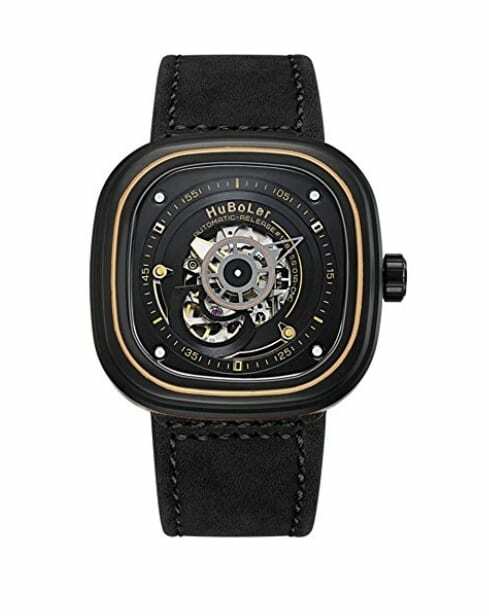 Top Quality Mechanical Movement, Self Winding Mechanism & Solid Hard Wearing Metal Parts ?High taste dress watch for men for ladies, prefect suitable for every occasion (birthday, business, party,wedding,anniversary,christmas), also a great gift for family and friends.